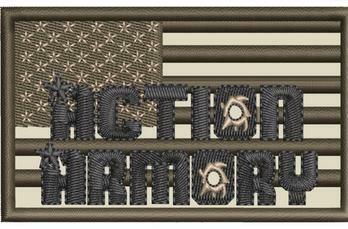 Action Armory started out as a passion for firearms and the strong belief in the second amendment. Action Armory established in 2016 with a promise to do “business ethically.” We promise to do our part in ensuring that firearms are only possessed by responsible, law-abiding citizens. Our mission is to provide personalized customer service in every aspect of a firearm transaction. At Action Armory, we have a passion for teaching firearm handling to those with a thirst for learning. Our business model consist of consultation, educating and training as we are certified with the NRA in pistol instruction, therefore we are an appointment based firearm dealer. We believe our customers can appreciate the appointment based operating style of conducting their personal firearm business. With appointment base service, our customers are not only able to enjoy convenience but are also able to maintain their level of privacy. Our knowledgeable staff allows first time buyers to make an educated buying decision. We will be glad to serve you and we would appreciate the opportunity to earn your trust.